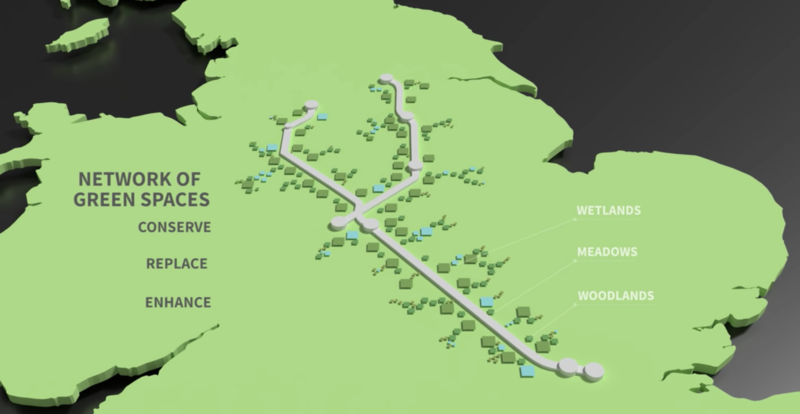 HS2 – the planned high speed rail line that links the West Midlands and London – has recently set out its plan for a ‘green corridor’. The vision is to create a strip of land along the route which will support local wildlife, create new woodlands, meadows, wetlands and habitats, and integrate the railway into the landscape and local environment. The aim is to preserve, replace and enhance the environment impacted by the construction of the line. This includes around 3.8 square kilometres of woodland, so the plan is to create over nine square kilometres of new native woodland as well as 33.4 square kilometres of improved habitat – an increase of over 30% on the area impacted. From bat houses to new ponds for newts, 7 million trees and shrubs, and including public parks and amenity spaces, this is designed to set new standards for how Britain and the rest of Europe builds the next generation of major infrastructure project.